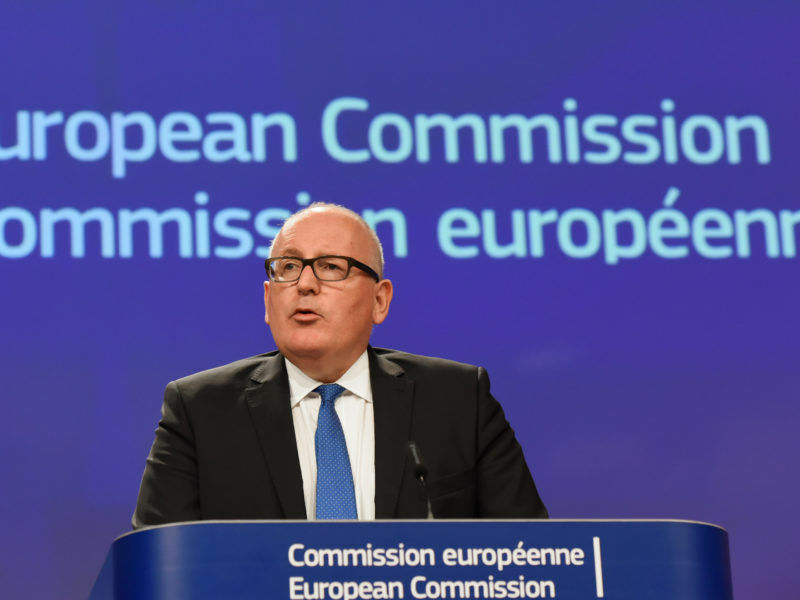 On Wednesday (19 July), Frans Timmermans criticised Polish efforts to reform the judiciary, considered threatening to the separation of powers, eroding democracy and rule of law. EURACTIV Poland reports. The Dutch First Vice-President stated that European Commission is close to triggering Article 7 of the Lisbon Treaty, which envisages sanctions. 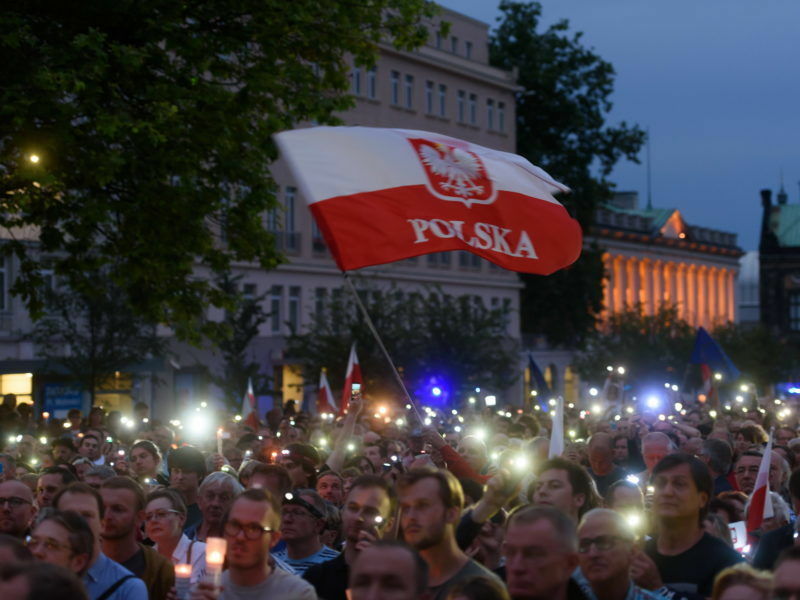 Ideological divisions in Poland, separating it into pro- and anti-government camps, were evident in official reactions to Timmermans’ invocation of Article 7. In an interview with the pro-government wPolityce, PiS MEP Zdzisław Krasnodebski (ECR) said that Timmermans’ threats are an “attempt at applying psychological pressure on PiS government”. The Commission is likely to call for the triggering of Article 7 next Wednesday (26 July) with respect to Poland, often referred to as “the nuclear option” to punish an EU member state, it emerged following the weekly meeting of the EU executive today (19 July). In a discussion on the pro-PiS Republika TV channel, Marcin Horała, a PiS MP, said, “activating the Article 7 is completely impossible, requires 4/5 majority only to be launched. Hungary has already declared it wouldn’t support the procedure, which actually ends the whole fuss”. On the other hand Grzegorz Schetyna, leader of the major opposition party Civic Platform (PO), warned the in the Sejm (the lower chamber of the Polish parliament) that Timmermans’ statement was “another signal for the people governing Poland that if their policy doesn’t change, if there’s no openness, no confirmation we wish to be a part of the EU, then this policy against judicial independence will end up pushing Poland out of the EU”. Polish lawmakers have started debating a controversial bill on Supreme Court reforms, which opposition parties, the Polish Ombudsman and most legal experts say breaches the Polish constitution and may curb the independence of the judiciary. Schetyna, together with Ryszard Petru, the leader of the second biggest opposition party, Nowoczesna (Modern), announced the close cooperation of their parties with Brussels, as well as a continuation of efforts against the implementation of the reform that the PiS proposes. According to Nowoczesna MP Kamila Gasiuk-Pihowicz, one of the most outspoken critics of the government, the entire “European Union sees the PiS break the law, (and) violate not only our common European standards but also the Polish constitution”. Gasiuk-Pihowicz called Timmermans’ statement “words of the friends of Polish democracy” aimed at the PiS, not Poland. According to PO lawmaker Rafał Trzaskowski, a former MEP and EU minister, Timmermans’ position shows that European Commission patience for Poland is at its end. 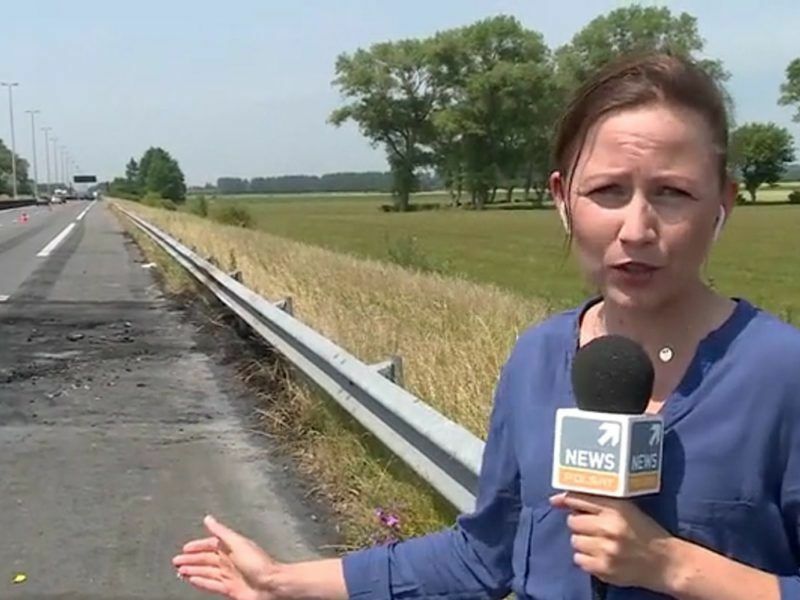 Dorota Bawołek, a respected Brussels journalist, has been the target of hundreds of insulting and threatening messages on social media, after state-controlled Polish TV said she asked the European Commission politically motivated questions with intent “to harm Poland”. @Gasiuk-Pihowicz Wake up and see that the interests that run the EU are not the European values..What about the flagrant violation and manipulation of the judiciary system in Greece by Mr Tsipras? The cat ate the tongue of Mr Timmermans. Oh yes the Commission through Mr Schinas just said that ‘in principle the Commission does not comment on national legislative procédures.” But yes this is Mr Tsipras from the broken Greece that has wipped Under the carper the scandals with Germany (Siemens, etc), and not Poland that has a strong economic growth. Pis Doesn’t take Mr Timmerman nor the E.U. Commission seriously . Pis is soon bullcraping themself when out of the E.U. Furthermore i am asking Why am I paying E.U. taxes for the Poles if they don’t commit nothing and why are they in the Union ?? Please, kick us out from the EU, I am sick of this German run EU stupidity. 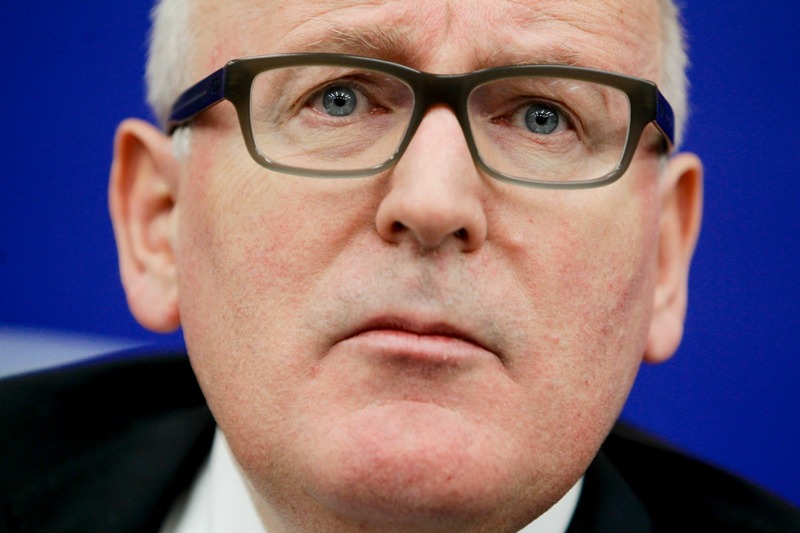 Timmermans is a delusional person who is trying to usurp power when he does not have one. I imagine “an European” is referring to the fact that he or she pays income tax in the member state of his or her nationality and that member state happens to be a net contributor to the EU budget. The rest follows rather logically from the fact that Poland is the largest single beneficiary of financial transfers in the form of EU structural funds. Also, why are you insulting this person? Which countries are net contributors? You sound as if they were giving charity…take a walk at the council to see how the net contributors impose their will. Not to mention the other than the economic (trade) deficit. Why Mr Timmermans is silent to other countries that violate the EU values, like Greece? Of course these Polish europarasites will howl and threaten. But in the end they need the EU. Unless they want to enjoy Vladimir’s druzhba, of course. Many would share your opinion for yourself you know…? I do not support that take though. There are no Europarasites. There are only fake EU values that bend to the national interests, and manipulate people.